We pride ourselves on our ability to meet the needs of our customers who have trouble finding suppliers who can meet tight deadlines and small and large quantity runs. Wallbank has advanced 3D capabilities, enabling us to manufacturer extremely complex wire forms to meet almost any customer’s need. 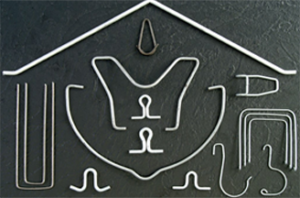 We can also manufacture our quality wire forms in many other materials to suit your needs. We offer a variety of additional processes such as hot/cold setting, grinding, shot peening, painting or adding various coatings. Call us today for a free quote.